This tropical moonshine concoction really hits the spot on warm summer days. This coconut pineapple blend might make you crave the beach, so put on your shorts, put your feet up, and enjoy a tall glass of summer! Step 1: Put pineapple juice, coconut water, brown sugar, and cinnamon sticks in a pan bring to a boil. Step 2: Take it off the element once it boils and let it cool. Step 3: Split the bottle of moonshine (or Everclear) into the two mason jars and add the juice from the pan as well as a cinnamon stick to each jar. Step 4: Wait at least a couple weeks for the flavors to blend, then enjoy! 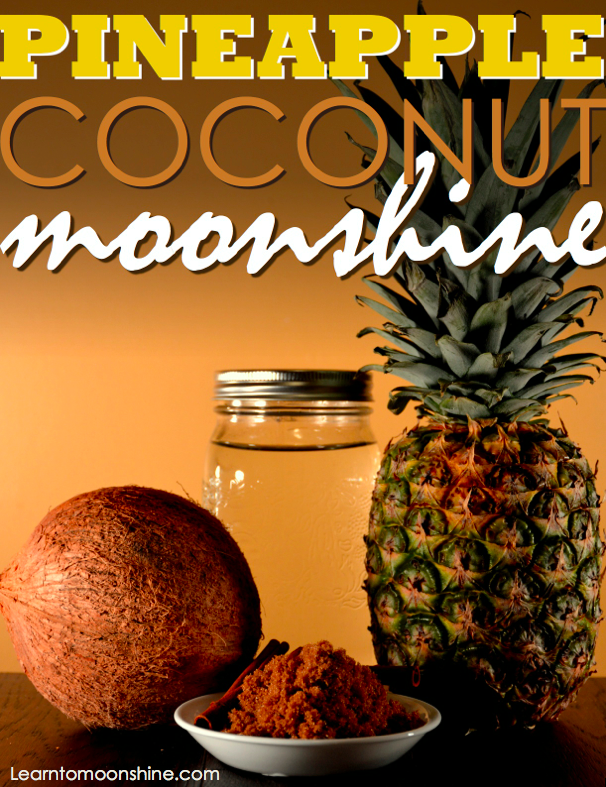 If you liked our Pineapple coconut moonshine check out these other fruit infusion recipes. 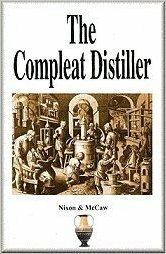 17 Responses to "Tropical Pineapple Coconut Moonshine Recipe"
I made this and had nothing but ravaged about how good it was. Everyone wants the recipe but I ain’t giving it up. yep that’s okay just won’t be as strong … means you can drink more of it !! Does or have to be refrigerated? It will taste better cold but the alcohol will do a great job at preserving it if not refrigerated! Why not coconut milk? I haven’t tried it yet but coconut milk to me would add more flavor. Certainly you could also use coconut milk if you like! If you try it let us know how it turns out ? Maybe I’ll try it next time I make it. Does the cinnamon stick over power the flavor? If you’re worried about it you can always remove the cinnamon sticks early. This is really based on personal preference. It’s probably sugar! To prevent this you can invert the sugar next time before you add it this will prevent it from settling out. I usually leave it at room temp in a cool place. But either the fridge or pantry will be fine. Thanks Earl for getting back to me. Regarding the sugar in this batch, should I be shaking it daily or does it matter? Should I shake it before I serve it or does it make? Thanks again. I’d just give it a shake before you serve it ! Can this be frozen and used in 6 months. Or can I put it in the pantry and use in 6 months. You’ll have a hard time freezing it because of the high % of alcohol. I’d suggest putting it in a dark cool place for storage. How long with this keep? Thinking about making it as favors for a wedding.